Florals are everywhere right now! I'm a happy camper because I love a good floral print . 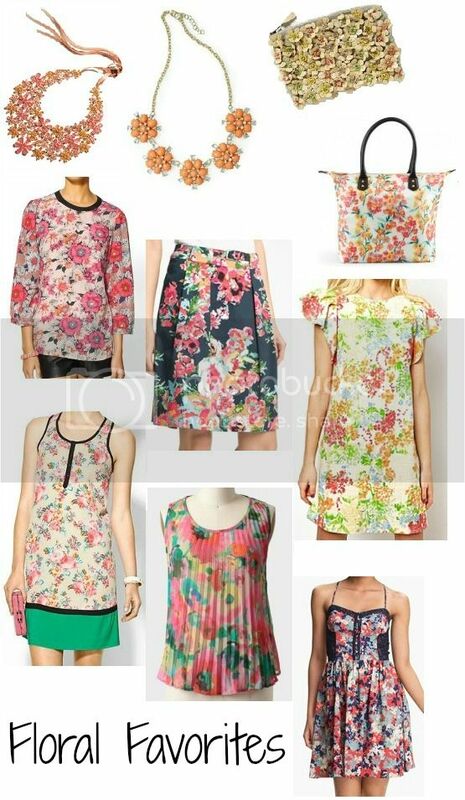 You can easily spice up an outfit by pairing a floral piece paired with some solid/basic pieces. I'm sure you could tell I'm loving florals right now because you've seen my floral pants on the blog twice already... Sorry I'm not sorry ;). Floral accessories such as necklaces and handbags also give you an option of adding the floral trend to your look without too much commitment. Check out some of my favorite floral pieces below and tune in Friday to see how the North v. South girls style their florals!